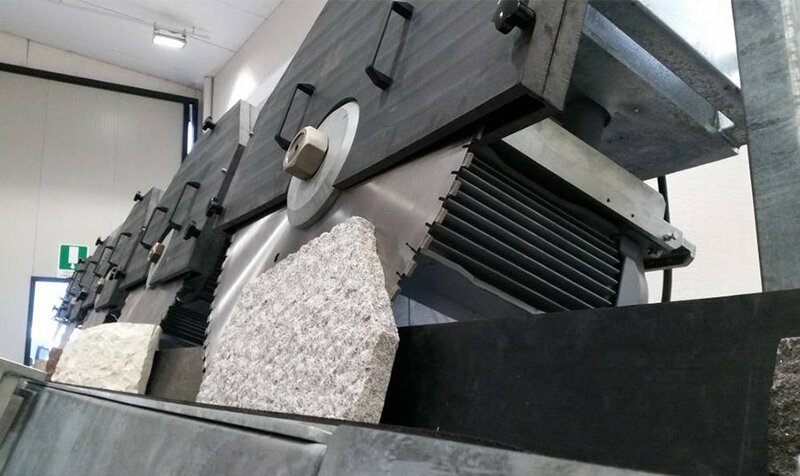 Mec offers the new series of Thin Veneer Cutting Machine FAST designed for any type of irregular stone: marble, granite and even concrete. The standard line is developed in different models, equipped with diamond in-line blades with continuous feeding of material. 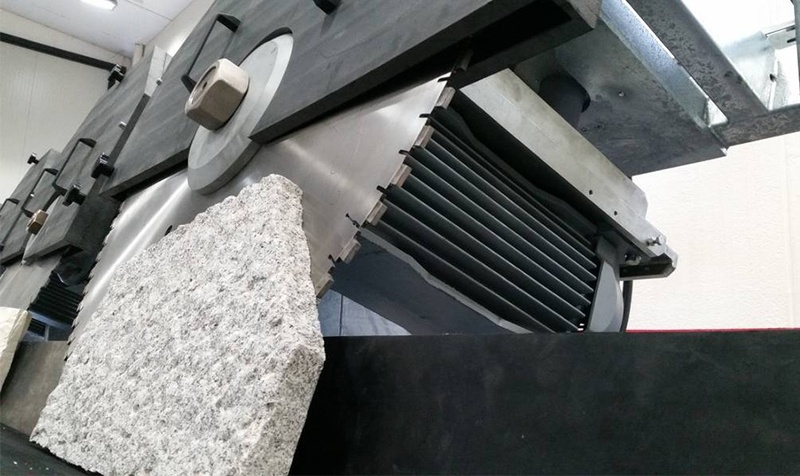 The Fast is conceived to cut split stones of different sizes with minimum thickness, in order to increase productivity in square meters of thin slabs, to reduce shipping costs and to facilitate the laying in work. 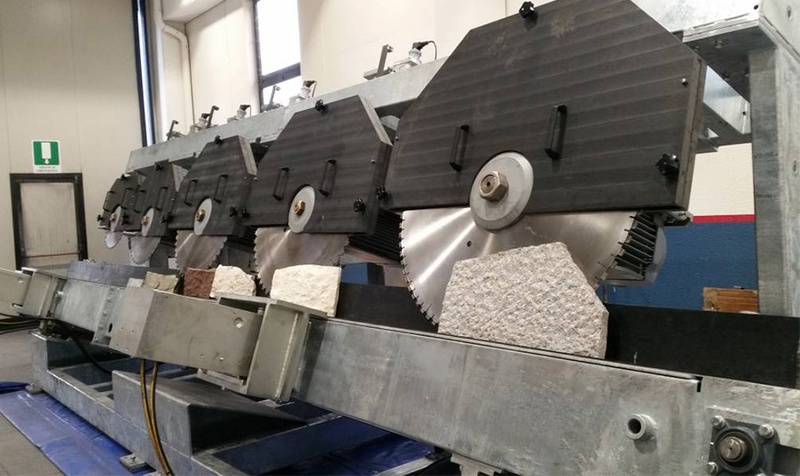 Machine equipped with one diamond blade, ideal for anyone who starting the stone cutting for the first time or for anyone who working with few orders. Machine equipped with two diamond in-line blades, ideal for anyone who needs production requirements constantly and for anyone who wants to obtain multi products. Productive machine with the same performances and features of Fast 2. 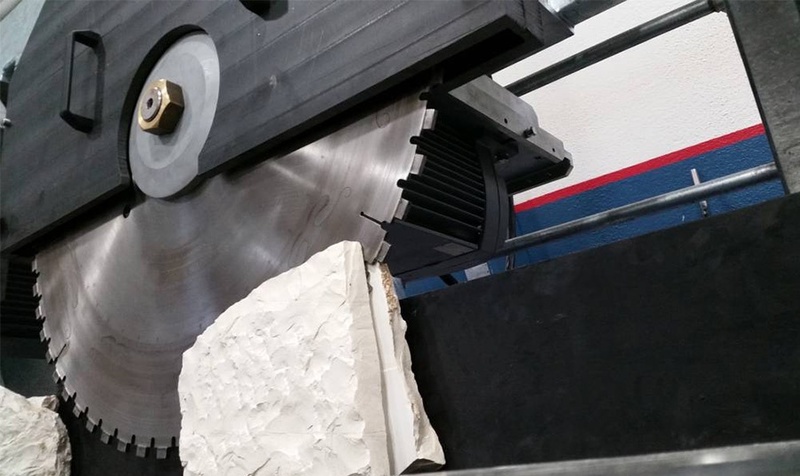 This machine, equipped with three diamond in-line blades allows you to increase the productivity of 30 %, compared to Fast 2. Machine equipped with five diamond in-line blades, ideal for anyone who needs specific requirements both product and high productivity. Highly customizable model.